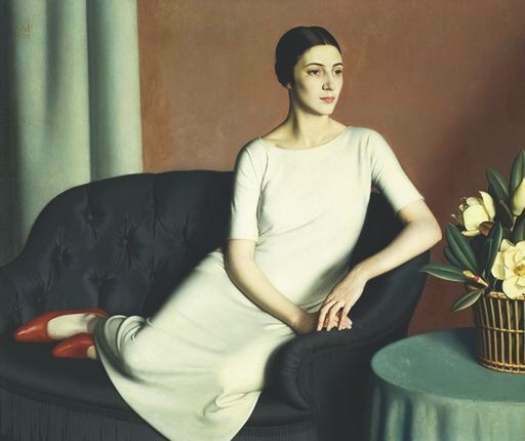 Meredith Frampton, Marguerite Kelsey, 1928, originally uploaded by Gatochy. Click image for 525 x 441 size. Via Bert Christensen's CyberSpace Gallery. This is hanging at Tate Modern, every time I go I have to spend ages looking at it, you'd be amazed at the finesse of detail when you look at it up close. I'd love to see this up close! It's such a picture of serenity.